The local authority has now cut £10million from its books for next year, but still has a massive blackhole of £5million to fill by the end of next month. Last night, the steps already taken were described as “horrendous” and “diabolical”. 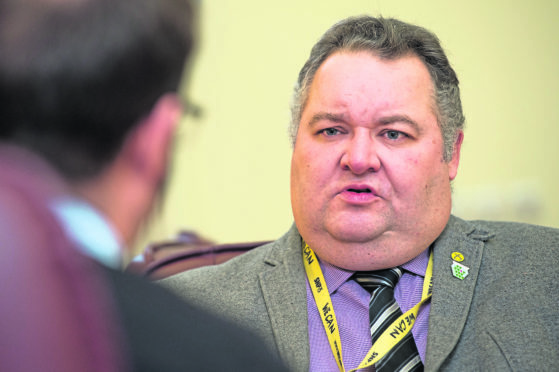 Council leader Graham Leadbitter stressed he was “confident” the remaining money would be found to keep the budget in the black – but accepted the latest proposals would cause “significant concern” among residents. Chief executive Roddy Burns described the scale of the task facing the authority of setting a balanced budget, which is a legal obligation, as a “significant challenge” but stressed its plight was not unique in Scotland. Talks will now take place with affected staff during the coming weeks before the proposals, which were agreed in private yesterday by councillors, are implemented. Mr Leadbitter said: “It’s imperative that we set a balanced budget. It has to be done, there’s no other way to say it. “A solution has to be found. We’re already looking at what those different options could be and it’s too early to say exactly what they will be because there’s a significant amount of work to be done. Moray Council’s Conservative group leader Tim Eagle. Investigations are being done by financial officers at the council to examine different ways to structure loans and the use of savings in order to close the £5million target. Mr Leadbitter added: “We have been able to continue our investment in some areas, including in health and social care because we have a growing older population. Moray Council was initially expecting to have to save about £12million from its annual revenue budget of £214million. That total has risen to £14.8million following the announcement of the Scottish Government’s own draft budget proposals. Yesterday, Moray Council’s Conservative group attempted to delay the decision amid hopes that talks between political parties at Holyrood could reduce the growing financial gap. Group leader Tim Eagle said: “Some services are already at the minimum statutory requirement which means the council would have to start breaking the law to save any more money there. “Getting rid of services and charging more for stuff isn’t the answer. It just creates a bigger problem because people will stay away from Moray to live and work. Mr Burns added: “There should be no doubt that most of the proposals are made on purely financial grounds. Moray Council will meet on February 27 to agree its final budget. 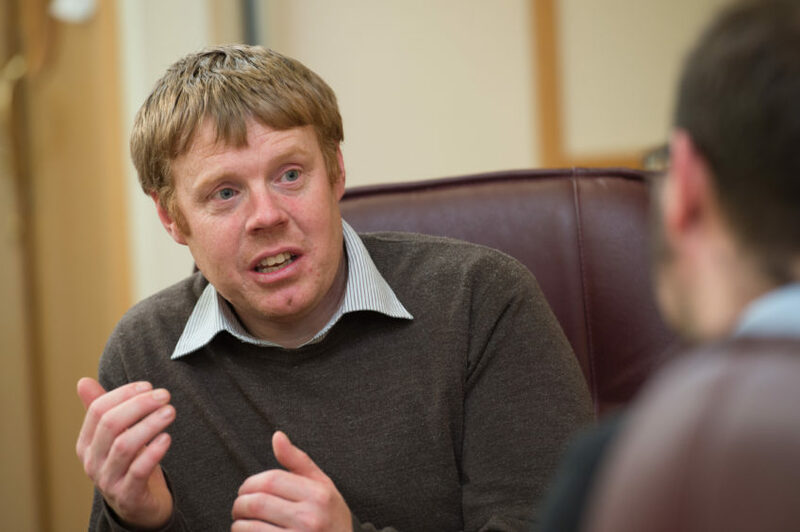 Moray Council’s leader Graham Leadbitter has vowed to continue pressing for more finance for the region. Mr Leadbitter has opened negotiations with Cosla, which represents the collective of councils, as well as the Scottish Government but accepts getting extra money will be tough. He said: “In my view the funding formula doesn’t treat Moray fairly. Our job is to make other people share that view. “It’s a challenge because some of those authorities would lose out if we get more, that’s the fundamental truth. Conservative group leader Tim Eagle is in talks with Tory colleagues across the country to learn lessons from elsewhere. He said: “There will come a tipping point. If one council goes under it can be written off as one authority not being efficient. Close libraries in Burghead, Cullen, Dufftown, Fochabers, Lossiemouth and Tomintoul and reduced opening hours in Buckie, Forres and Keith. Close the remaining public toilets. Close swimming pools in Keith and Lossiemouth, subject to securing increased usage. Remove the remaining school crossing patrollers. Reduce winter gritting and roads maintenance programmes. Introduce car parking charges in some towns across Moray. Reduction of devolved school management budgets. Increased class-size thresholds for P2 and P3 to maximum of 30 pupils. Increase annual cost of individual music tuition from £378 to £699 and from £264.60 to £490 for group sessions. Charge annual fee of £370 for out-of-zone school transport. Remove the Active Schools and sports development service and Essential Skills programme. Relocation of Access Point in Forres to Forres House Community Centre. Increase charges for harbour users by 10%.